Ever wondered why ‘his’ doesn’t have a Z? Or what on Earth is O doing in ‘won’? Ever asked why GH is in ‘through’? Or what is the point of silent letters? 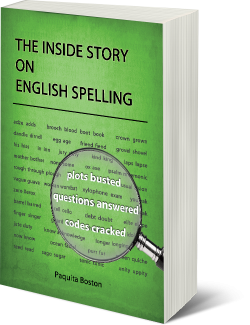 At last a book which spills the beans on English spelling. English spelling has rules and lots of them. 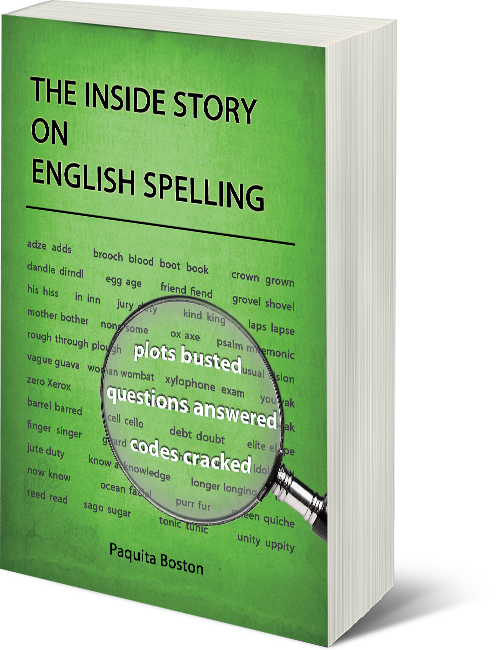 Paquita Boston explains why English spelling is so difficult, much harder than spelling in most other languages. Boston also reveals the various codes that govern English spelling and describes how these codes are keys to hidden treasure, the cultural inheritance of all English speaking people. Boston treats spelling as a game as serious as any sport, with as many rules and as many game changes. After reading this book you’ll actually enjoy spelling and no longer view English as a ‘funny language without many spelling rules’. Instead, you will want to share the inside story on English spelling with young and old. Do You Love FREE eBooks? Join The Readers Club and Start Reading!